Natural Coenzyme Q10 is essential for the energy production. 95% of total body energy is activated by coenzyme Q10. The amount of Q10 clearly decreases from the age of 40. For this reason supplementing is recommended. Vitamin D3: 50% of the population is showing a shortage of this “anti-aging hormone” which is so important for our immune system. It also strengthens muscles and bones. Protects nerve cells. Avoids inflammation. Strengthens the immune system against common colds. Vitamin C: Decisive contribution for the collagen structure. Strong water-soluble antioxidant in conjunction with vitamin E and coenzyme Q10. Important detoxification function in the body. Reduces fatigue. Vitamin E: The most important fat-soluble „protection vitamin“. Important for the formation of good quality connective tissue. Protection of blood cells, eyes, nerves and brain against aggressive free radicals. Anti-inflammatory effect. Improves circulation and oxygenation of the blood vessels. The anti-aging effects of astaxanthin are obseved primarily on the skin, the immune system and eyesight. Astaxanthin also enhances physical performance and fights fatigue! Astaxanthin improves elasticity and hydration of the skin, reduces wrinkles and slows down the skin aging process. The well-known American Anti-Aging Expert Dr. Nicolas Perricone said: "The use of astaxanthin has the same effect as a facelift." 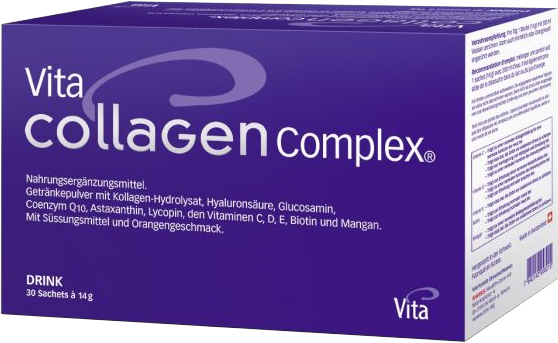 The combination of 10 g collagen hydrolyzate and astaxanthin is ideal! Humans performance may significantly improve with the daily intake of 4 mg astaxanthin. This was demonstrated in placebo-controlled studies. Astaxanthin promotes physical and mental health! It reduces eye fatigue, improve the accommodation (focusing) of the eye and has a protective antioxidant effect! 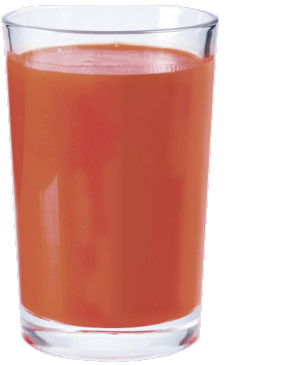 Natural lycopene from the shells of tomato is an important skin protection factor from inside the body. In order to achieve good results treatments should last at least 60 days. A long-term daily intake is recommended.